Water damage restoration requires the assistance of a licensed, insured, and bonded home restoration experts like the water damage Bronx pros at 911 Restoration Westchester. If you are cleaning out your attic and your discover mold growing on the walls, you can depend on the mold removal Bronx agents to do everything they can to make your home a clean, safe place again. Our water damage Bronx pros used the most advanced equipment on the market to ensure that your home becomes completely sanitized and free of all mold and mildew. Our mold removal Bronx specialists use containment apparatuses like vapor barriers to keep spores from spreading throughout the home during the cleaning process. Our water damage Bronx techs also use powerful equipment to remove all traces of the mold and water damage, ensuring that you and your family no longer inhale it on a regular basis. If need be, our water damage Bronx professionals will replace areas of your home that have become too overgrown with the mold, such as portions of drywall. It is important to us that you get the immediate help that you deserve, and we can facilitate that since our office is open at all hours, allowing you to schedule an appointment with us the moment you discover the substance in your family home. Make sure to contact our water damage Bronx unit at the first signs of water or mold damage, so our operation can get started implementing water damage remediation services. Our water damage Bronx crew work with IICRC certified technicians to remediate all water from the premises in order to protect the home structure and prevent mold spores from growing into a full blown infestation. We offer a response time of within 45 minutes. To best serve you, our water damage Bronx experts will provide you with same day service, starting with a free home inspection, so call our professionals today. Branch owner Eli wants all of his customers to understand the importance of being proactive in the care of their home. Once we know for sure that mold is indeed growing in your household, homeowners need to stay away from the infested area and wait until our water damage Bronx techs arrive on the job. 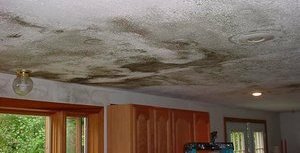 Our water damage Bronx experts understand that is important that you do not attempt to clean up the fungus on your own since there are many different types of mold with some being detrimental to your health. We test your mold, so we can determine exactly what type of fungus is living inside the property, because our water damage Bronx team knows that there is a big difference between harmless pink mold and dangerous black mold. Even though finding mold is not necessarily an emergency, our staff will take immediate action as soon as they are on the scene by conducting comprehensive fungus eradication procedures. In order to help bring awareness to proper home maintenance, the water damage Bronx experts have some advice on what you should take notice of on your property. Raise the Roof: The roof on your building needs to be in good shape all year round. It is the one thing that protects you and your family from the elements. During the winter it is common for ice to form on top of a building. The heat in your home slowly melts the snow off your roof, allowing water to get in through your ceiling. This dripping water can eventually cause mold, which can grow into an infestation without getting professional help. Protect Your Plumbing: When a pipe bursts it is usually due to the cold or old plumbing. If you can keep your pipes warm with insulation, then you will have less of a chance of dealing with water damage. Property owners should wrap the water line in the proper insulation and keep your heater on. Avoid Basement Blunders: Basements are basically a basin for all water and moisture. If you find your basement submerged in water, it is necessary to get help right away. Standing water can cause mold, especially in a dank basement. If your home or office is already underwater, then contact our water damage Bronx team with 911 Restoration Westchester for all the help your property needs to get back on track today! Our water damage Bronx service agents wants their customers to always feel like they are the main priority. Yes, we handle all types of restoration services, but our main concern is making sure you are okay. Our water damage Bronx workers want get to work on your water emergency as quickly as possible of receiving your call every time, no matter what degree your emergency is, or when it happened to occur. Our mold removal Bronx team just wants to make this whole process as easy as possible for you, which our water damage Bronx techs provide by keeping the communication clear. Our water damage Bronx pros try to ease your mind is as many ways possible, from offering affordable prices to conducting free water damage estimates. Our mold removal Bronx professionals will even help go through your insurance policy with you in order to figure out your coverage. Our water damage Bronx technicians are prepared to handle all of the policy paperwork in order to get you the coverage you deserve. You do not have to deal with water damage alone, call our water damage Bronx staff with 911 Restoration Westchester so our mold removal Bronx technicians can assist you on getting a fresh start today!